Game of Thrones has returned to our TV screens after what felt like forever. The show has become a cult phenomenon - and of course, it has become a major inspiration for baby names. 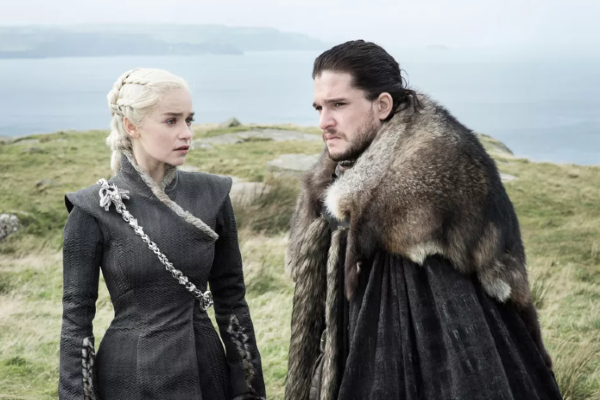 Names like Arya, Tyrion, Sansa, Khaleesi (after Emilia Clarke's queen) and let's not forget Daenarys have all started sprouting up on baby name lists and we're not one bit surprised. According to a report, around 343 newborn girls were called Arya in the UK. The report shows that 2017 was the biggest year on record for naming your baby girl Sansa. It's not only the HBO show that's responsible for new monikers to be appearing on lists. Animated movie Moana, released at the end of 2016, probably had something to do with the seven babies born that year with that name - seven up on the previous year. Star Wars continues to have an impact on what people name their kids with an increase in babies named Leia happening last year. Parents-to-be, if you're stuck on a choosing a name don't worry - just turn on the TV and you should be sorted.